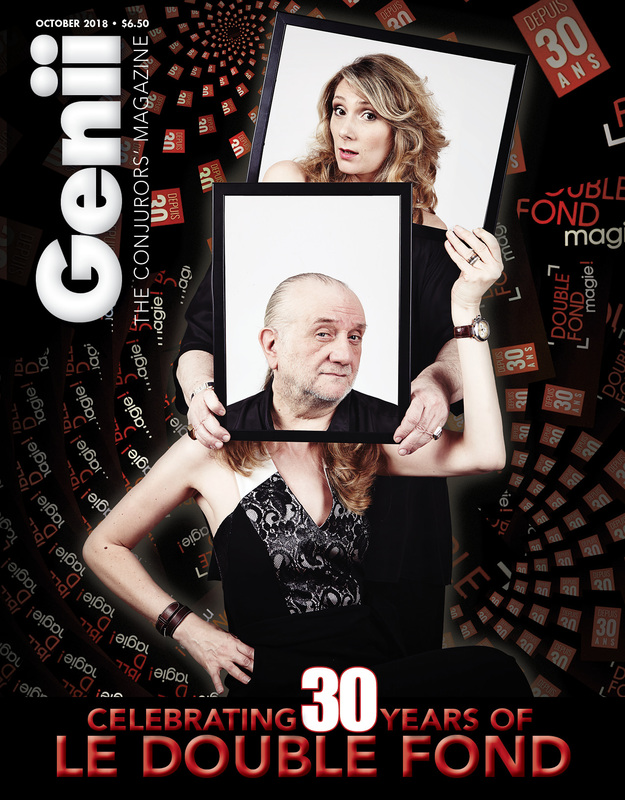 The Magic Cafe Forums - The October 2018 Issue of Genii is Here! Our October cover story is a focus on a venue located in Paris that most of you have not visited, but should if you happen to in France, Le Double Fond (literal meaning “The Double Bottom”). This summer marked the 30th anniversary of the venue, owned and operated by Dominique Duvivier and his daughter Alexandra. They also frequently perform there (you’ll be able to see them at The Genii Convention in October 2019). From a modest and financially rocky start, Le Double Fond at 30 is a long-standing success story. With its exterior patio on a fashionable street, its interior bar and restaurant, and the cellar below, it’s an intimate and unique place in which to watch magic. Boris Wild is our guide, and interviews the Duviviers. Almost everyone who is anyone, and all the other folks, too, attended MAGIC Live! in Las Vegas this past August. 1,600 people all told. Publishing schedules being what they are, this is our first opportunity to bring you our report, written by David Kaye and Dustin Stinett. I spent the whole convention in the dealer room working, but people reported having a good time, except for the final show … something about a guy in a horse costume. Columns from Jeff Prace, John Gaughan, Jonathan Neal, Roberto Mansilla, David Britland, Jim Steinmeyer, and David Kaye round out the issue, along with our monthly columns “The Eye” and “On the Slant,” and this bit of nonsense. Reviews by Joe M. Turner, David Oliver, and John Lovick tie up the tail. This page was created in 0.09 seconds requiring 5 database queries.